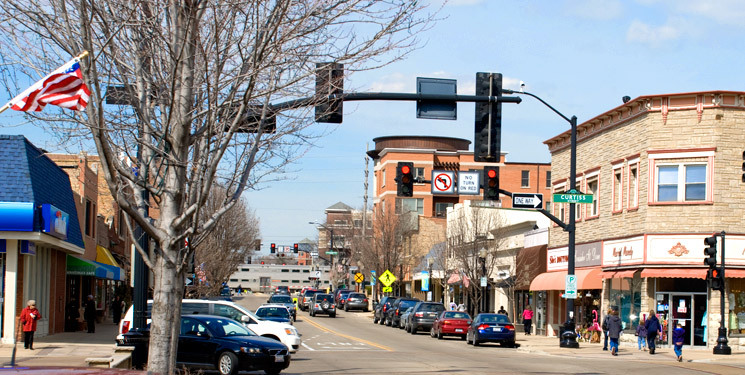 Downers Grove Illinois is located just about 5 minutes west of West Suburban Funeral home and is easily accessible by visitors and guests traveling via automobile or public transportation. The village has a population of approximately 48,867 and is located just 22 miles west of the City of Chicago. Founded in 1882 by Pierce Downer, a religious evangelist from Wampsville, New York, original settlers were mostly migrants from the Northeastern United States and Northern Europe. Several major corporations call the village home including Advocate Health Care, Dover Corporation, Pepperidge Farm, Devry, and Sandford among others. The Village has been named Top 10 livable Cities for kids by Livability.com and has also been recognized by Forbes as one of America’s Friendliest Towns.